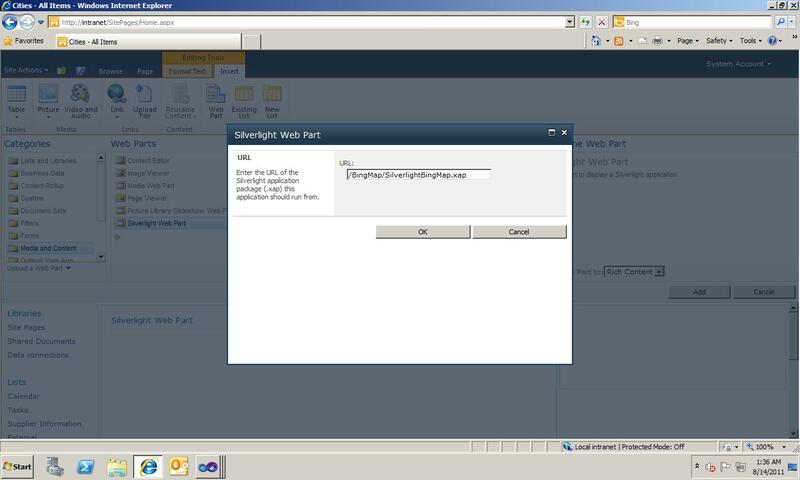 Silverlight applications can be easily integrated with SharePoint 2010. 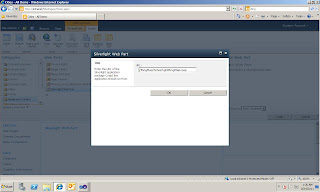 SharePoint 2010 has a Silverlight webpart which takes the url of the xap file created from a silverlight application and shows it in the sharepoint 2010 pages. 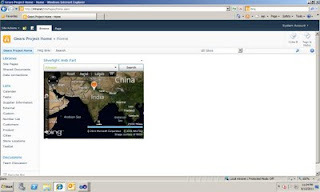 Let's create a Bing Map Silverlight application and integrate it with SharePoint 2010. Before we start download and install Bing Maps Silverlight Control SDK. 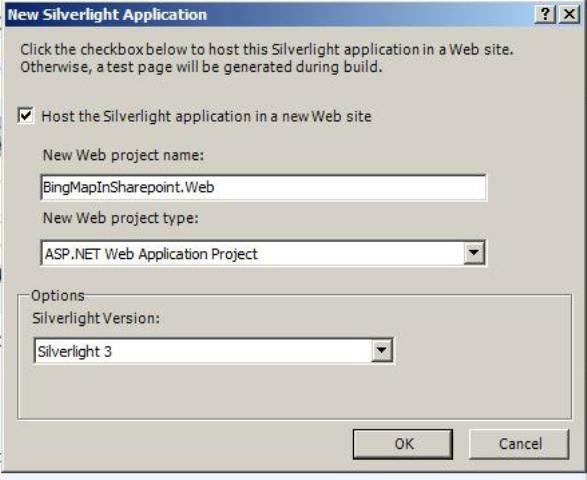 Next, either check or uncheck the check box: host the silverlight application in a new website. Now add references to Bing Map and SahrePoint client asseblies. 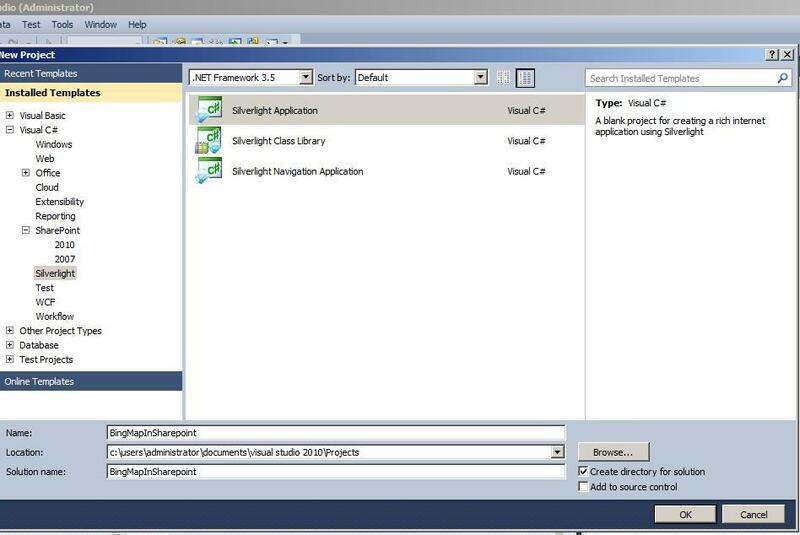 Open MainPage.xaml and include the following namespace. Replace the default grid with following implementation. Here we are creating a combo box which will contain the name of the locations retrieved from a sharepoint list .I have given my Bing Map key. You can use this for testing purpose or create your own key. The map will be centered at India by default as we have specified the co-ordinates of India. Now let's create a service which will help us in finding the co-ordinates of the given locations. In "References" click on Add service reference. 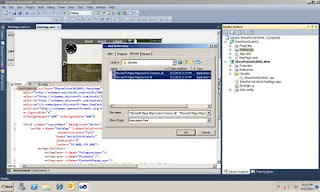 Enter the url "http://dev.virtualearth.net/webservices/v1/geocodeservice/geocodeservice.svc/mex" in the address and click on Go. 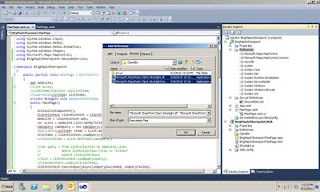 Name the service as GeocodeService. 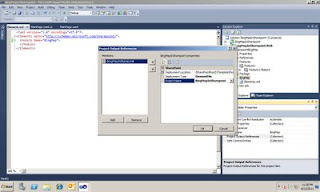 Copy the following code in MainPage.xaml.cs. This is used to identify a location and display a pushpin for the location. // Create the service variable and set the callback method using the GeocodeCompleted property. 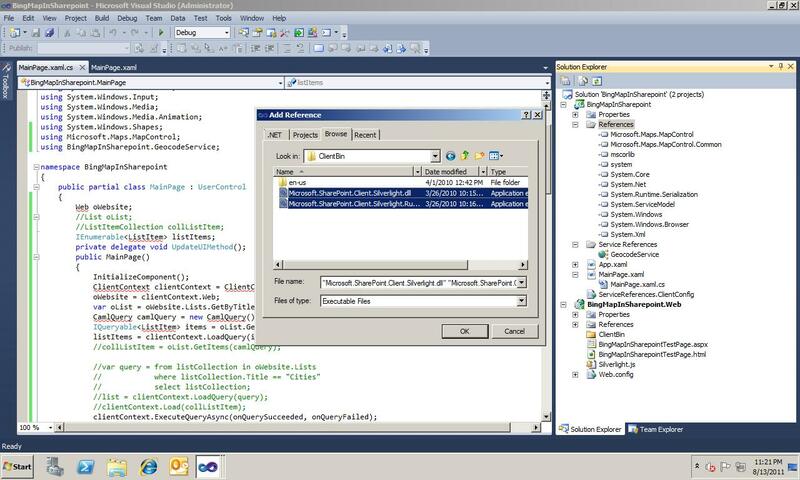 // Set the credentials and the geocode query, which could be an address or location. // the user state to track this request and allow it to be identified when the response is returned. 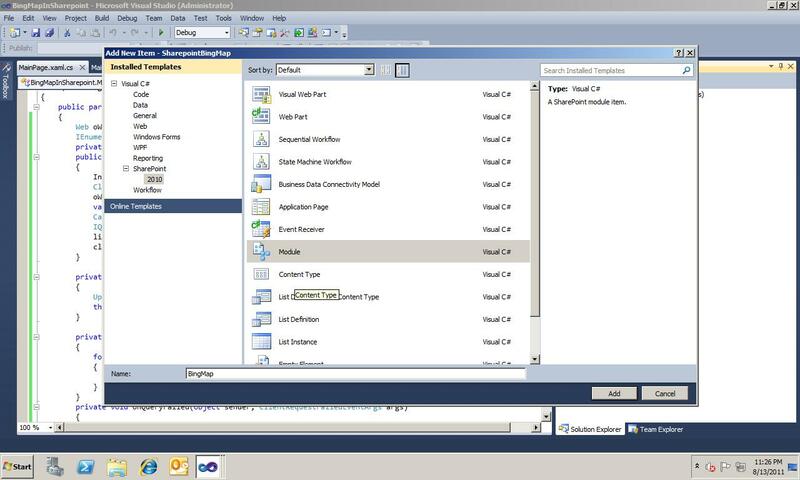 Now copy following code, this will use client side object model to retrieve the name of the locations from a SharePoint list named Cities. The silverlight part is complete. 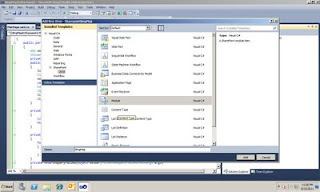 Now add a SharePoint empty project to the solution and add a module element to it. Name the module BingMap as shown. The Elements.xm file in the module shoulg look like this now. That is it. 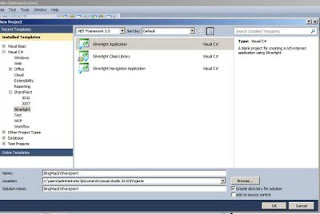 Now right click on the SharePoint project and select deploy. 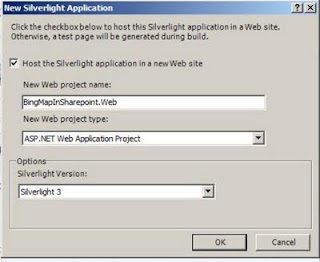 After the project is deployed go to your SharePoint site. 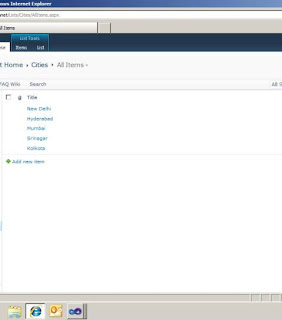 First, create a custom list name "Cities" and add the names of the few Indian cities to it. 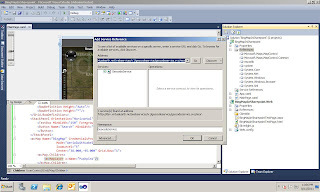 In my case the name of the site to which the solution was deployed is http://intranet.contoso.com. 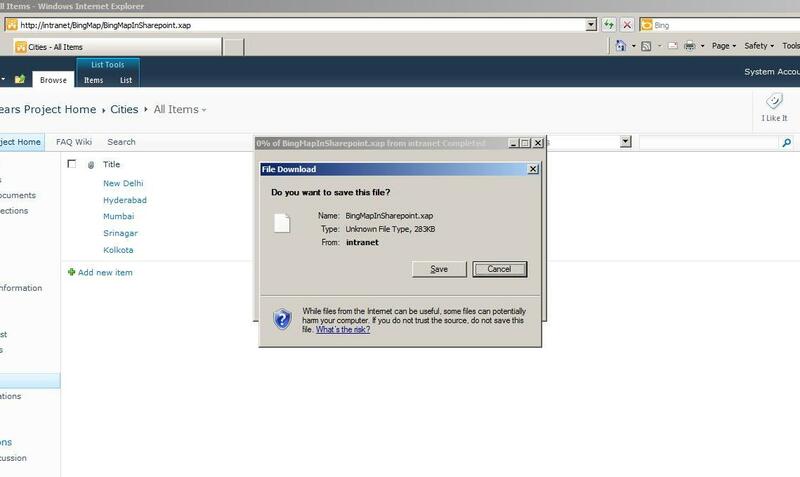 So If I type http://intranet/BingMap/BingMapInSharepoint.xap at the web address I will get the following message. 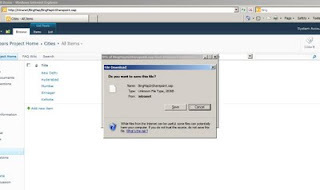 Once, you confirm that xap file has been deployed properly, go to a webpart page add a silverlight webpart to the page and specify the relative url of the xap file. 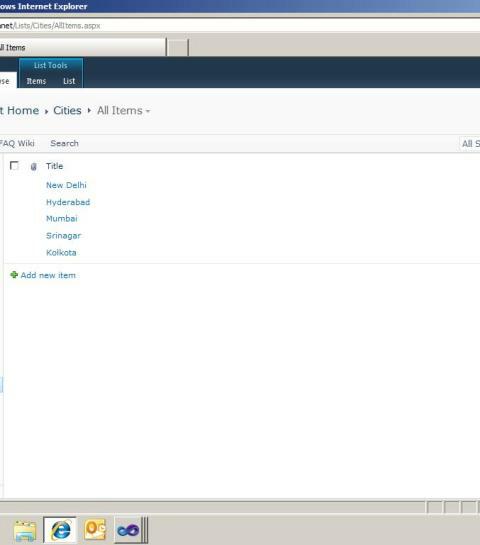 Finally, select some city from the drop down box and click on search button. A pushpin will appear at the city.